I dont know the answer, but inclined think it was on Fleet Street where the Jehovas Witness building stands now. When Galloways bakery was in Orrell, the building looked just like that. It was at the top of Loch Street. Hmm maybe. Could it be the church hall on Queen street opposite what was the Travellers Rest carpark? Don't recognise the buildings. Cannot say they were on Fleet St. The buildings in the far background may show an clue. 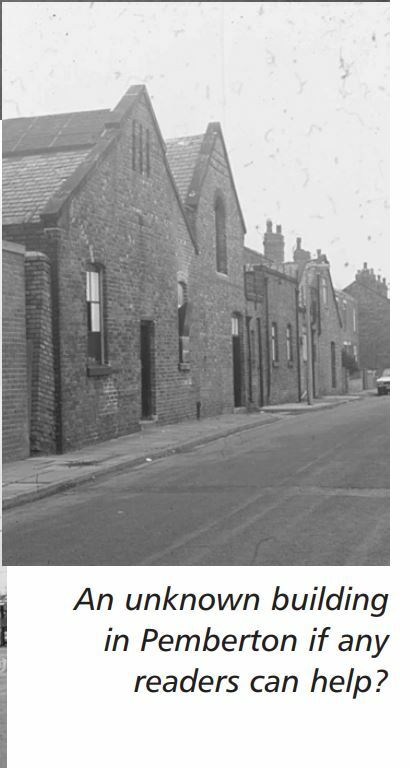 @tonker wrote: When Galloways bakery was in Orrell, the building looked just like that. It was at the top of Loch Street. The only bakery I remember on Loch Street was up a little ginnel, shown here. I seem to remember Gaskells bakery at the back of Loch Street by the fields above the school. We would wander in as kids and smell the bread. I once saw a large metal tub filled with flour and other ingredients which had been weighed out and added on top of the flour ready for mixing. Yes I remember that one Derf, the one I'm thinking of did pies and cakes. I can remember my dad going in on a Saturday afternon to buy up any stock that they were left with. What a treat we got on a Saturday tea time. But I digress. Do you know where the building was in the OP. Found this on GoogleEarth. There seems to be a medical center where I thought the bakery was, (bottom left), and the whole place is further over from Loch St than I remember it. 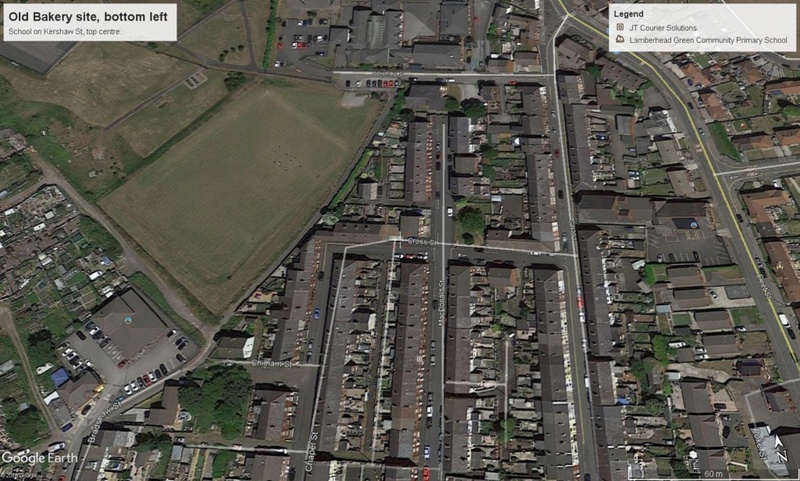 The school on Kershaw St is at the top, centre. Medical centre is Bradshaw Street.